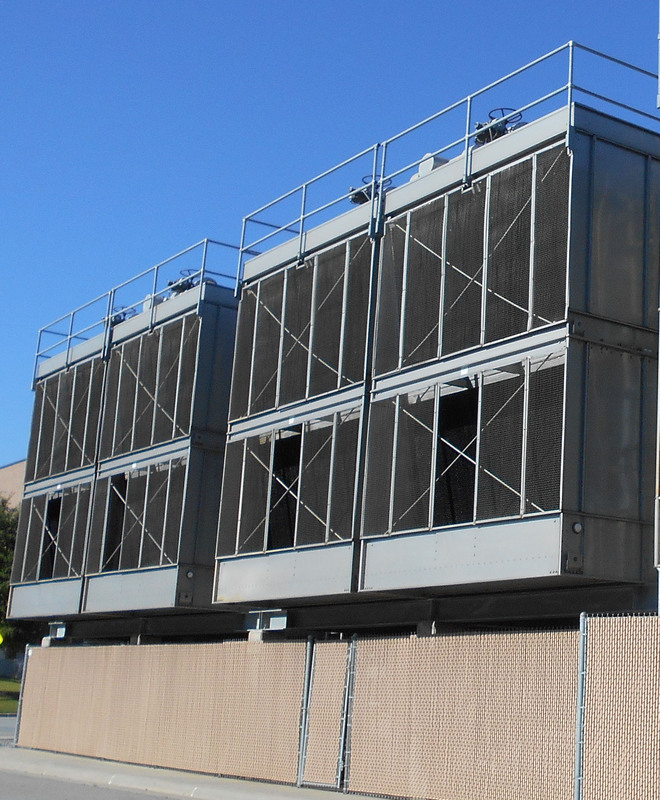 In keeping with our mission to make Cyrco your single-source cooling tower provider, Cyrco offers used, rebuilt, and fully refurbished cooling towers in order to provide our customers with a lower cost alternative to a new cooling tower. Our fully reconditioned cooling towers are inclusive of a full one (1) year warranty. Designed to provide 378 nominal tons of cooling capacity. Each individual fan cell is designed to provide 1,038 nominal tons of cooling capacity. The units are constructed of 304 stainless steel framework, cased side walls, cold water collection basin and hot water distribution basins. Heat transfer media is bottom supported herringbone 15 mil PVC with integral drift eliminators. Mechanical equipment within each fan cell consists of one (1) 75 HP TEAO premium efficiency motor belt driving an adjustable pitch fan assembly. Mechanical service platform with ladder. Units are complete with a 1 year warranty. Need a quote or more information? Click here to contact us. We will continue to add to our used cooling tower inventory as we complete the process of refurbishment, part replacement, and assembly.